David A. 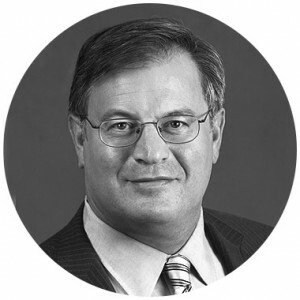 Levy is the world’s foremost expert in applying the Profits Perspective to economic analysis, with over 35 years of professional forecasting experience. On multiple occasions, Levy’s maverick analysis and interest rate forecasts have led to extraordinary gains in financial markets for clients. In the latest business cycle, Levy’s forecasts for a severe collapse of profits and a financial meltdown led to a 500% net gain over 5 years for investors in the Levy Forecast® Fund. Levy has given briefings, consultations, and testimony to members of Congress, administration officials, and Federal Reserve governors. He was selected for the federal government’s Competitive Policy Council Infrastructure Subcouncil and was also appointed by President Clinton to the Commission to Study Capital Budgeting in 1997. Levy is the author of many articles and the coauthor, with S Jay Levy, of Profits and the Future of American Society, published by HarperCollins. He graduated from Williams College Phi Beta Kappa with a BA in mathematics and received an MBA from the Columbia University School of Business.